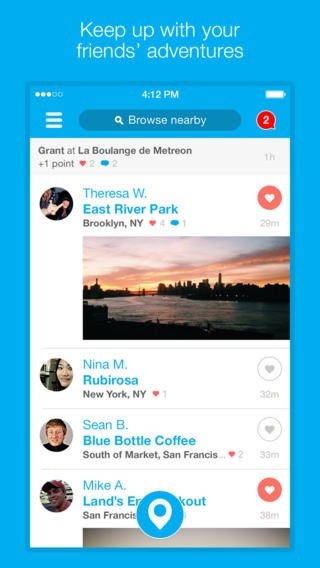 Foursquare is undoubtedly thought of as the App Store’s premier location-based social network. In a genre that is extremely crowded with the likes of Twitter, Path, Facebook and even Instagram to a certain extent, Foursquare continues to shine bright due to their offering being all about location services. As with any premier App Store app that’s worth its weight, Foursquare has been going through a regular period of change to fall in line with the aesthetics of iOS 7, resulting in version 7.0 of the Foursquare iOS app going live today featuring a completely new interface. 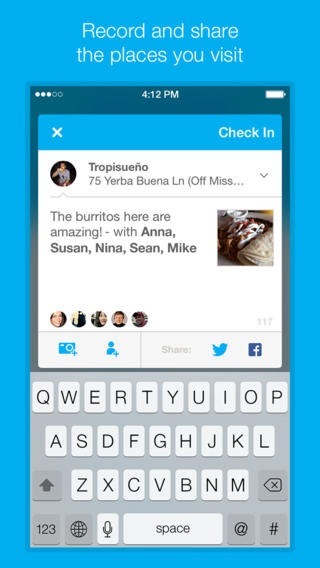 The Foursquare team have been delighting users over the last eight weeks by regularly pushing updates out to the App Store with new features and improvements, and they even pushed out an iOS 7 flavored Foursquare update back in September. Updates during the month of November alone saw the introduction of a nearby option to show a list of friends who are currently near your location as well as showing the recent check-ins of friends and the ability to drill directly down to their profile. Version 6.4.3 also improved upon the functionality that allows users to immediately see details of potentially interesting points of interest in the local area. Today’s update builds on those changes by introducing a full new redesign of the user-interface to finally fall in line with Apple’s iOS 7 design. The interface has been overhauled in an attempt to look modern and clean, but to also present information that is relevant to the user front and center. 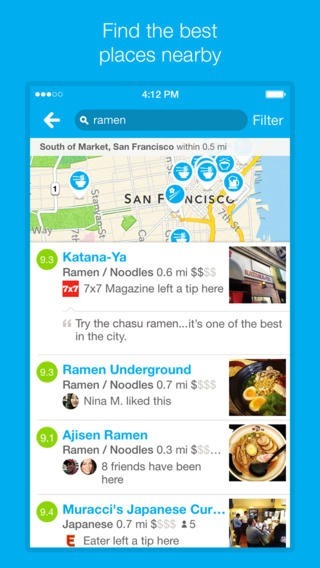 Foursquare has also been given an injection of intelligence under the good. Arriving at a new location will immediately prompt the app to provide details of local attractions or money-saving offers that could be of interest. Best of all, this information can be presented without having to remember to go into the app. 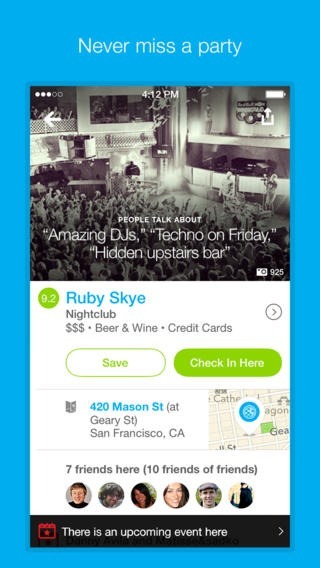 The app will now also shuffle the data that it has for nearby points of interest. Rather than continue to display the same suggestions over and over again Foursquare now "shuffle[s] the deck" to ensure that new and interesting locations are presented every time the app is loaded. Foursquare has always proven to be an extremely useful app. Now it’s smarter, faster and more beautiful than ever. You can grab the latest version from the link which we’ve embedded below.